Having a salesperson say your company is good is very different than someone else saying it. Most companies vastly underutilize testimonials. It’s a big mistake because the fact is that they are very powerful in building credibility and trust in your product. Just as importantly, they provide proof of performance. A study by Yahoo revealed just how powerful they are. They found that if a salesperson makes a claim as to the capability of a company or product, it is only believed by 23% of people. That’s right, 4 out of 5 people think salespeople exaggerate or in some cases, outright lie. However, if the exact same claim of capability is made by a third party, over 80% of people believe it to be true. Do the math and you’ll see that by having a testimonial speak to your ability to deliver, it is 4 times more convincing! Northbound’s U.S. based partners, Corporate Sales Coaches, note below how to get a testimonial and how to use one in your selling process. One of the problems we hear most often at our sales seminars is, “How can I prove how good I am to someone who doesn’t know me?” This is a real obstacle when approaching an account you never have sold to. The power of a testimonial letter can be an excellent solution. A testimonial is a written communication from a customer that talks about the value added benefits your company and you provide. It is tangible, written evidence that says you are not just another sales rep trying to make a pitch. It allows you the opportunity to showcase the specific reasons you are different from your competition. 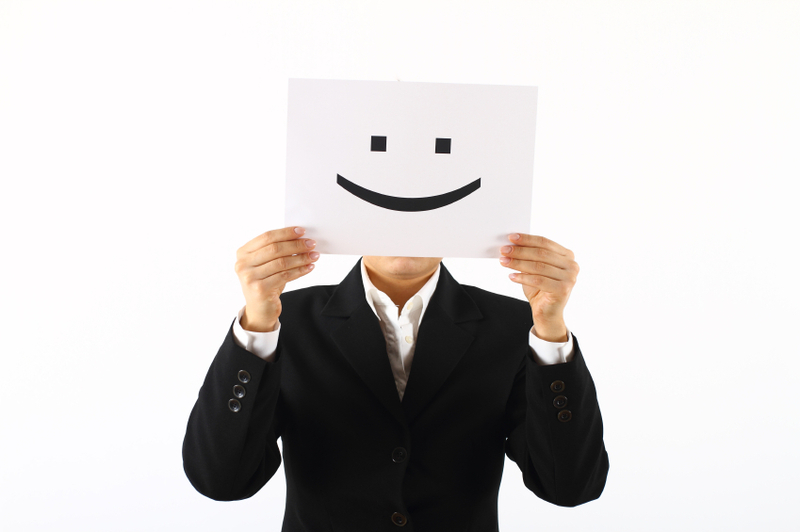 Testimonials enable the smart sales rep to cement relationship with the author of the letter. I’m sure most of you have been asked to give a reference or two when you applied for a new job. What was the purpose of providing a reference? Obviously, to show your new boss that you are as good as you said you were. You provide a personal reference to vouch for your competence and to attest to your qualifications. Most employers require at least three professional references and one personal reference before you can start working. Doesn’t it make sense that a new sales organization should also provide references to a prospective customer? Why should a prospect spend money with you if you can’t prove it? Sales people can greatly increase their effectiveness by asking for and using testimonial letters. An example of the type of services you have provided and the benefits received by your customer will increase your credibility. How do you get testimonial letters? First of all, you need to have a base of customers that are satisfied with the products and support you and your firm deliver. These accounts must be living, breathing references to your value added service. Who are your best customers? How many have you serviced that are really satisfied with your work? Everyone that has been in sales for a year or more should have at least one or two. If they haven’t sent you an unsolicited letter of thanks, solicit one on your own! Yes, call them up and ask them to send you a letter that talks about why you are different. A letter that says you helped them save money, time or anything else of value. A letter that says you helped them increase or improve efficiency, throughput, control or anything else of value. Why mention you helped them save, increase or improve? Because that is how a benefit is described. Benefits help people save, reduce, control and decrease costs or expenses. Benefits help people increase, improve, enhance or gain money, efficiency or time. People want to know what’s in it for them when you approach them. A good testimonial letter will help you to tell your story. It also will show that you know something about a specific market, industry or business. If you’ve only heard it, if you delivered what you promised to a customer, ask for a letter. The more you do for an account, the stronger your relationship should be. If you have a strong relationship, capitalize on it. Get a letter that says you deliver what you promise, (not everyone does), that you’re good and your company is good (not everyone is), that you help people save money or time and that you are someone that. people should talk to! These are powerful words that you deserve and that you can use! If your customers love you but have not had the time to write you a testimonial letter, write it for them. Yes, you write your own testimonial letter. Type up a “draft” for their review and approval. Ask them if this letter is a fair statement of what you’ve done for them. If they want to make any changes they can. If they change it at all, they will usually make your letter even stronger. Most of the time they just type it on their letterhead and sign it. It is that easy. Don’t wait for that extra special person who goes above and beyond and sends you a letter unsolicited. Take control of your own destiny and draft your own testimonial. Besides, when you do it, you can say what you want to say. When they do it, you never know if the right message comes through. Make this idea a reality. Give yourself a deadline before this month ends, and get a note from your best accounts. When you get one, share it with your associates. Any sales manager reading this article should collect testimonials from each sales rep. Email them around to every rep. A testimonial from one customer can be used for almost any prospect. What can you use testimonial for? Lots of things. Use them for approaching new accounts. If you did a good job for one business in your area, let other businesses know about it. Send a copy of a good testimonial letter to the same level (or higher) at another company. It doesn’t even have to be the same industry. The point is that you and your company are good. You can deliver what you promise. Someone also has checked you out. You can also use testimonial with your proposals. Put them at the end to serve as proof that you are worth the investment. Encourage your prospects to call and check your references. Make sure you call, before they do. There is nothing more damaging than providing a bad reference on yourself A testimonial will also improve self esteem. There is nothing more satisfying than seeing your name in a letter from a happy customer. Well, I’ll admit it would be more satisfying to see your name in a letter that came in unsolicited but who can wait for things to just happen? Make things happen!